First Look: Bombtrack Hook EXT – where does gravel end and mountain bike begin? This maybe the first time that gritcx has reviewed the Bombtrack Hook EXT, but it isn’t the first time that we’ve ridden it, or its carbon sister, the EXT-C. Back in September 2017, I headed over to Belgium and Germany for a few days, riding the Dirty Boar gravel event before attending the Bombtrack “Groundwork” meet up. The first time I met the EXT was in the back of a van, 30mins before I was due to ride a tough 100miles of undulating gravel. It is all credit to the bike that it was both comfortable and fun the whole way round. Even then, I was keen to see how the EXT would perform on my local trails. Very nearly fresh out of the box. Nearly. That was six months ago, and the 2018 EXT has now reached Bombtrack’s UK distributor, Lyon Outdoor, and one bike has been snuck out to me to test. Since receiving the bike, I’ve been away for a couple of weeks, but was able to get a quick spin on it before I left – I was so keen to get out that I forgot to get the First Look photos while the EXT was box fresh (face-palm), so you’ll have to excuse the slightly grubby frame. The first real test of the bike will come this weekend when I take it around the Dirty Reiver (which Bombtrack is sponsoring this year) course, before it returns to the home trails for some serious late-Spring testing. The EXT is designed to be able to carry stuff. Bombtrack – who are they then? The German brand isn’t necessarily the best known in the UK, although it is quickly gaining a reputation for well designed, good value bikes, and it has fully embraced the full spectrum of #dirtydropbargoodness and adventure riding in its range. The Hook EXT (our steel-framed bike) and EXT-C (the carbon version) are both 650b wheeled, adventure ready drop-bar bikes. 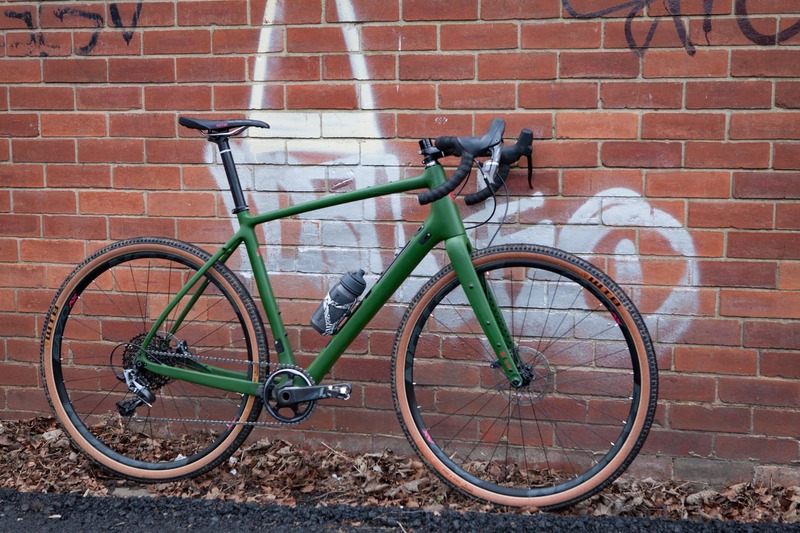 In terms of ruggedness, they are a step above the standard Bombtrack Hook gravel bikes, which come with 700c wheels and clearance for 40c-ish tyres. There is then the 29in wheeled Beyond 1, which is definitely more aligned to drop-barred mountain biking and long distance touring. It’s a cliche, but for many, the EXT is likely to be a “one bike” solution that offers more versatility than some gravel bikes. While pure-road speed is likely to compromised, you should be able to take the EXT further into the wilds and on rough trails than many gravel bikes. Bombtrack rider, Joachim Roselund has already done a good job of showing what’s possible by riding the Highland Trail 550 in his EXT. Before we move on, the frame has a cast yoke on the seat stays to improve tyre clearance and also comes with internal dropper post compatibility – which just sounds like a whole world of fun. In a minor, but welcomed tweak to last year, the frame now has full run external cable routing. The rear mech cabling is sent under the toptube, so in the unlikely event you chose this bike for its ‘cross credentials, you may wish to look elsewhere to save your shoulder. This frame is a large – with a 57cm top tube. The bike is available in S, M, L and XL. Geometry is available here. There is only one Hook EXT in the Bombtrack range. That means one choice of components, one price point. Simple, but you are a little tied in to its preferences (although a frameset is also available). Fortunately, the EXT is specified largely as I would choose myself. Drivetrain is SRAM Rival 1, with hydraulic disc brakes. This, of course, means a single chainring up front – by far my preference for offroad duties. The 40t ring, paired with an 11-42t cassette should provide ample gear spread. The bottom bracket is a PF30 number, which I was a little disappointed to see. I’d much rather have a threaded shell on a bike of this sort, but Bombtrack report that it has had no complaints of creaking to date. 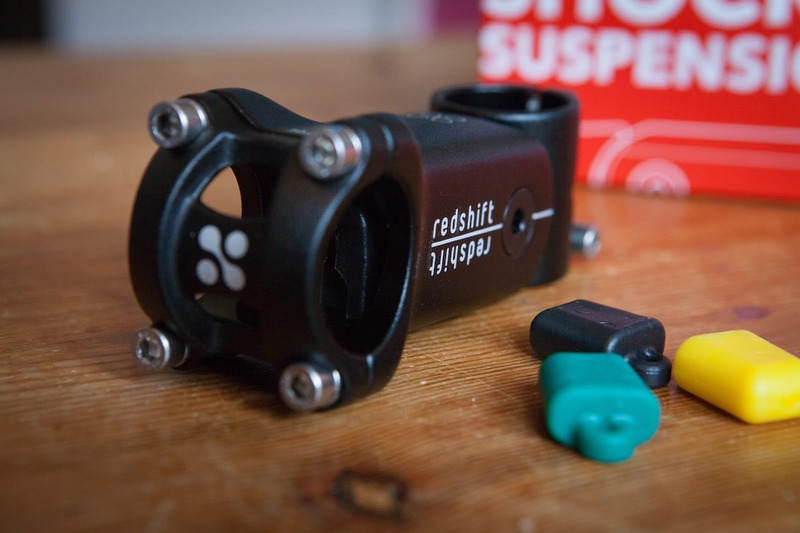 Good to hear, but a threaded BB is so much easier for the home mechanic to fit and remove. The EXT is designed around a 650b wheelset. At its maximum, Bombtrack claims that the frame and forks will clear 54c tyres (around 2.1in, although we reckon you could fit more in there). It is also possible to run 700c wheels, with clearance for up to 45c tyres. The stock wheelset is a WTB i19 rim, built on to Bombtrack hubs. The rims are tubeless ready, but came with a conventional rim strip. The 2.1in WTB Nano tyres are not listed as tubeless ready, either. Never one to listen to instructions, I’ve tubelessed the wheels with Gorilla tape and the tyres are holding fine for the time being, although lose pressure a little quicker than you might expect from a tubeless specific pair. We wouldn’t strictly recommend trying this, but we’ll risk death so you don’t have to. Bars, stem, seatpost and clamp are all Bombtrack own brand. The bars are 44mm across, but also with a bit of flare – perfect as far as I am concerned. As someone who prefers to ride on the hoods, I don’t like an extreme flare as it puts the levers at a funny angle. I appreciate the overall width though, and a gentle 10º flare makes riding in the drops even more confidence inspiring. Bombtrack handle the finishing kit. Quarq cranks. An odd choice. Essentially the same as Rival, but a little easier to fit a power meter too. The Selle San Marco “Squadra Start up” saddle isn’t the most comfortable I’ve used, but as always, this is as much about personal preference as anything else. It will get swapped at some stage of the testing. I’m in the market for one of these (Bombtrack Hook EXT) but they’re pretty hard to try for size. You tested a Large, how tall was your tester? I’m 6ft2 with 35 inside leg and I’m wondering if a Large 57 or XL 60 would be right. 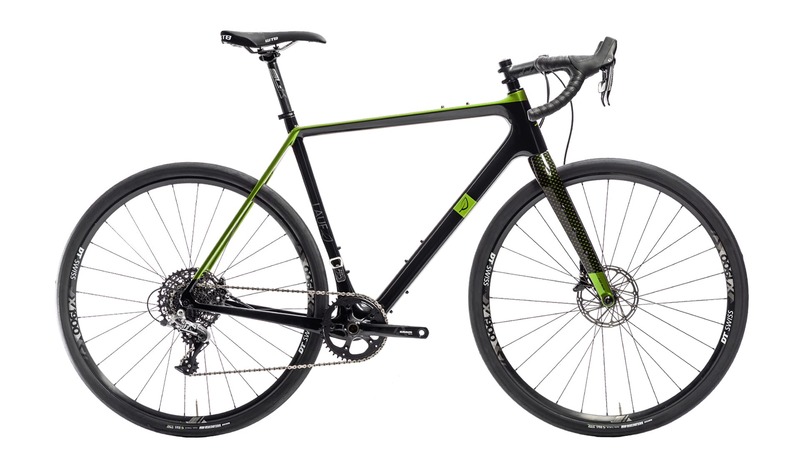 You say “If you are looking for a road bike to take off-road occasionally, there are better options out there” – while not directly related to this bike, could you give some recommendations along the lines of this comment?